The semester started just after Martin Luther King Day. Right around then, I got an email from a colleague whom I really like. Her son is in 6th grade. The 6th graders in his class were doing reports and, as part of their assignment, had to interview someone. Would it be o.k. 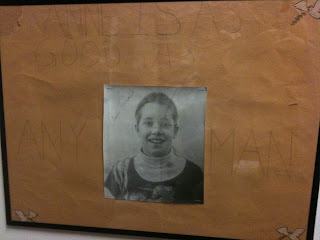 for a 6th grade girl to interview me about women’s suffrage. Sure. After all, I had just been reviewing the suffrage movement in preparation for my beginning of semester lecture (something I ended up not giving, as it happened). But then I got her email. She was researching Seneca Falls. 1848. America. I panicked, then calmed down. After all, this was for a 6th grader. Her very smart, focused email was as much about women’s lives before and after the vote as anything. I could do this. Oh, and when would I be available to come to her school to be videotaped. Oh, no! Part of me did not want this at all. Part of me wanted it a little too much. On the first day of teaching, I took a taxi across town to meet this young student. Was I really so narcissistic that I would travel across town to be videotaped by a middle schooler? Was I such a procrastinator that I would take time out of my day for this rather than create that calendar for program administration that I always mean to create? Half mad at myself for wasting my own time and hers, half excited, I signed in at the school. As soon as I met her, I knew I had been right to come. We went to the library where I met the AV teacher. We talked about how she got interested in the topic (through a longstanding interest in equal rights for women). She set her flip camera up on a tripod and set the tripod on top of a stack of thin books, a series about marine invertebrates. She asked me to kind of repeat the question in my answer as she planned to edit her own voice out. She had a couple other coaching questions for me. And when I answered one question honestly, she laughed nervously and, departing from script, said, “Oh, that turns out to be a stupid question, doesn’t it? Let me ask a different one.” Once or twice, my answer pleased her and she squeezed her arms in tight to her sides, lifting up her shoulders and scrunching her eyes in delight. I don’t know why it took me until then to see that this was the very best thing about teaching, this was really one of the coolest, most exciting things I had done in a long time. I am so glad that I let that young student interview me! After all, when I was in 6th grade, I ran for president (and lost) on a platform of unilateral disarmament and the Equal Rights Amendment. My slogan? "Anne is as good as any man." One of my favorite talking points was why I chose "as good as" in lieu of "better than." (I felt that my superiority was for me to prove.) 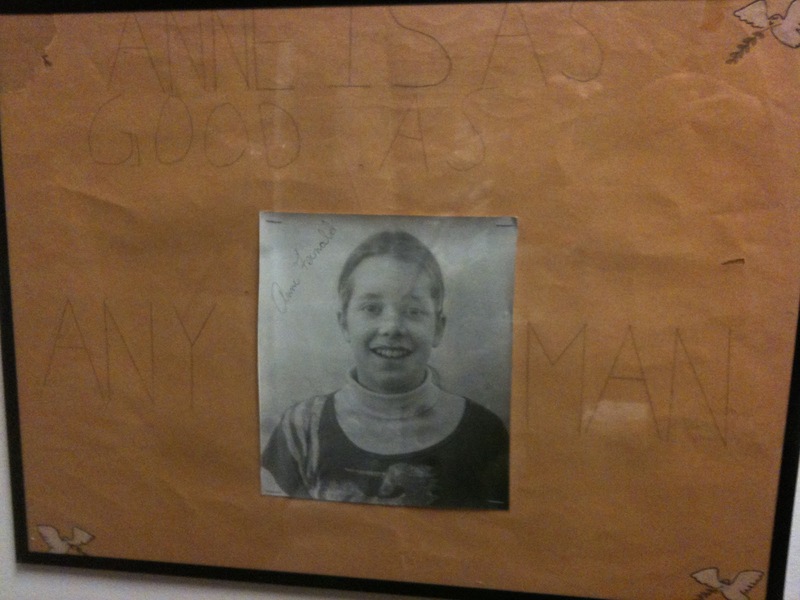 My campaign poster—with a picture of me in my favorite batik unicorn t-shirt--is in my office to this day.